Donald H. Bunker and Associates was established in Dubai in 1994 by Dr. Donald Bunker and is the continuance of a long-established Canadian aviation practice and has grown from a simple organization consisting of Donald Bunker and a secretary to a team of full-time lawyers and office staff, supported by a number of foreign legal, financial and technical associates, practicing aviation law exclusively. Fleet planning assistance to Lithuanian Airlines, the first former Soviet Republic airline to acquire Western aircraft. Our Firm's mission is to provide prompt, comprehensive, affordable and practical legal and financial advice to commercial airlines, corporate aircraft operators, private clients and other related organizations around the world which could not otherwise obtain such services. We work very closely with our clients to provide a tailor-made service and encourage them to consider our Firm an integral part of their management team. Often working in tandem with our clients' in-house lawyers and management, we are able to gain an intimate knowledge of a particular client's business enabling us to keep an eye out for information which might be of relevance or commercial importance and alert them to potential problems that may affect their airline or business. In this way, our clients view us as an extension of their in-house legal team. Our Firm particularly specializes in providing legal and financial advice to commercial airlines, Heads of State, Government authorities, corporate aircraft operators, private clients and other related organizations worldwide in particular areas of the aviation industry such as the acquisition, financing, leasing and disposition of aviation related equipment and assets including aircraft, engines, spare parts and simulators. Drawing on years of experience and extensive knowledge of the aviation industry, we are confident of our abilities to meet each client's particular legal requirements in an efficient and cost-effective manner. The original idea was to establish a global aviation law practice using an "open skies" jurisdiction operating as a hub for international air traffic as our Firm's base. Dubai fit the bill perfectly! Conveniently located between Europe and Asia, close to Russia and the other CIS republics and a short hop to the Asia sub-continent and Africa with good connections to North America, Dubai has established itself as the pre-eminent communications and commercial center of the Middle East. 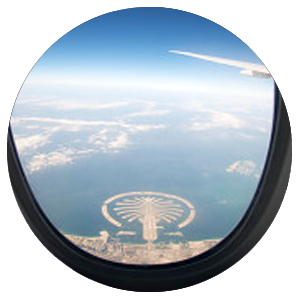 Over one hundred airlines regularly use Dubai and the other emirates. With its considerable investment in infrastructure to support the aviation industry, Dubai's drive to encourage entrepreneurship, commerce is expected to continue to grow exponentially. While capitalizing on the many benefits that Dubai has to offer, our Firm is committed to playing an active role in the development of Dubai, the Middle East generally and the aviation industry worldwide. The late Dr. Donald Bunker was the founding partner of Donald H. Bunker and Associates. Dr. Bunker’s legal career spanned over 50 years, during the majority of which he specialized in international, commercial and aerospace law representing clients such as the Royal Bank of Canada, Air Canada, Emirates, Air Mauritius, Wardair, Tarom Romanian Airlines, Aeroflot, International Lease Finance Corporation, Bank of Montreal, Quebecair, Lithuanian Airlines and many other well-known financial institutions, airlines, leasing companies and manufacturers, Heads of States, Government authorities, corporate aircraft operators and private clients. Dr. Bunker served as a Professor of Law at the McGill University of Air and Space Law teaching aviation finance law and frequently gave aviation finance lectures at IATA in Montreal and Geneva. He also was a regular guest lecturer at various conferences and institutions and was a director on the boards of many companies including Airclaims International Inc. and Volvo Canada Ltd.
Dr. Bunker graduated with a Bachelor of Arts (Economics) (1968, Concordia University (then Sir George William’s University)) and went on to attain a Bachelor of Civil Law (1971, McGill University), a Masters of Law (1985, McGill University) and a Doctor of Civil Law (aerospace finance law) (1986, McGill University). He was admitted to the Quebec Bas Association and was a member of numerous professional bodies including the International Institute of Space Law, McGill University of Air and Space Law Association (Past President), the Academy of Transport of Russia, The Royal Aeronautical Society (Fellow) and the American and International Bar Associations. 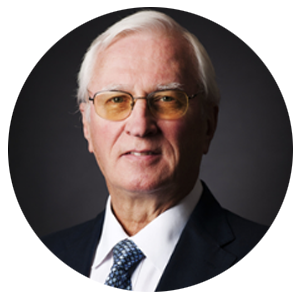 Dr. Bunker published numerous books and articles with respect to aerospace finance and insurance law and economics including The Law of Aerospace Finance in Canada, and International Aircraft Financing published by IATA. Sadly, Dr. Bunker passed away on 25 January 2018 and the firm is committed to continuing his legacy. Ian Veall is the Managing Partner of Donald H. Bunker and Associates. 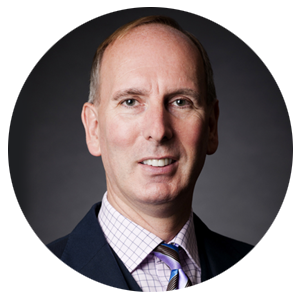 Prior to joining the firm in 1997, Ian headed the corporate/commercial department of a City of London firm based in Dubai and has since focused his practice on corporate aircraft operations. He represents national and international corporate aircraft operators and private individuals in aviation matters involving, amongst other things, the management, operating and chartering of corporate aircraft, fractional ownership programs, the acquisition, financing, and disposition of aviation related equipment and assets, including aircraft (fixed wing and rotary), engines and spare parts. Drafting and negotiating sale and purchase agreements and ancillary documents for commercial airlines, corporate aircraft operators and private clients in connection with the acquisition of new and used, commercial and corporate aircraft (including Boeing, Airbus, Embraer, Bombardier, Gulfstream, AgustaWestland, Bell Helicopter, Eurocopter, Kazan, ATR and Pilatus equipment). Structuring financing transactions for private clients in connection with the acquisition of new and used corporate aircraft and related equipment. Representing corporate aircraft operators in connection with aircraft finance related security documentation such as tripartite agreements, coordination agreements, assignments of insurance and security assignments. Drafting and negotiating 'Ad-hoc', 'Block' charter and aircraft management agreements for corporate aircraft operators and private clients. Advising corporate aircraft operators and airports in connection with Fixed Base Operations (FBO) agreements. 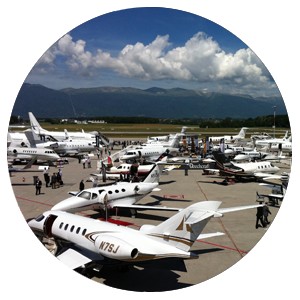 Representing corporate aircraft operators and private clients in connection with aircraft fractional ownership programs. Advising aircraft operators in connection with Search and Rescue (SAR) and Medevac agreements. Advising corporate aircraft operators in connection with regulatory issues including cabotage and aircraft registration. Advising clients in connection with airport construction, concession and ground handling agreements and hangar leases. Representing Heads of State and VIP aircraft operators in connection with interior completion agreements. Advising Government authorities in connection with Air Traffic Control (ATC) agreements. Acting as escrow agent of funds and documents for aircraft transactions. Christine Veall is a partner of Donald H. Bunker and Associates. 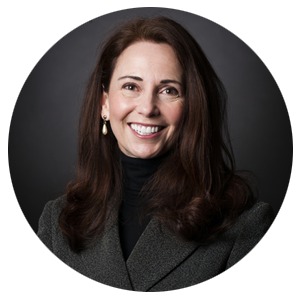 Since joining the Firm in 1996, Christine’s practice has focused primarily on advising commercial airlines and Heads of State in aviation matters involving, amongst other things, the acquisition, financing, leasing and disposition of aviation related equipment and assets, including aircraft, engines and spare parts. Representing commercial airlines in connection with Government supported and non-Government supported financing transactions for the acquisition of new aircraft and related equipment. Representing commercial airlines in connection with sale and leaseback transactions involving multiple aircraft and related equipment and multiple aircraft engines. Representing Heads of State in connection with the acquisition and VVIP interior completion of new aircraft and the disposition of aircraft, engines and spare parts. Structuring financing transactions for commercial airlines and private clients in connection with the acquisition of new and used commercial and corporate aircraft and related equipment. Drafting and negotiating sale and purchase agreements and ancillary documents for commercial airlines and private clients in connection with the acquisition of new and used commercial and corporate aircraft. Representing commercial airlines in connection with aircraft operating lease agreements and wet lease agreements. Representing commercial airlines and private clients in connection with technical services agreements, maintenance services agreements, personnel lease agreements, and pilots’ employment contracts to support the maintenance and operation of commercial and corporate aircraft. Representing corporate aircraft operators in connection with aircraft finance related security documentation such as coordination agreements and tripartite agreements. 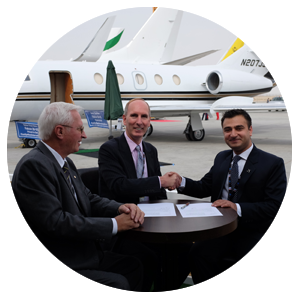 Representing commercial airlines, corporate aircraft operators and private clients in connection with regulatory matters involving the General Civil Aviation Authority of the United Arab Emirates. 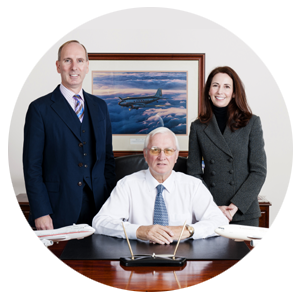 Thomas Bunker is an aviation consultant of Donald H. Bunker and Associates. Prior to his arrival in Dubai, Thomas worked with a number of commercial airlines in North America in primarily in the role of operations officer. During the 1991 Gulf war, he was based in Belgium and Cyprus and assisted in the co-ordination of cargo charters performed on behalf of the U.S. military. Thomas now advises clients on commercial matters relevant to the aviation industry where his operational and business expertise are relevant. Preparing, and analyzing business plans for start-up airlines. Managing aircraft portfolios including financing, acquisition, disposition, leasing, tendering of aviation related equipment and assets, including aircraft, engines and spare parts for commercial airlines and private clients. Assisting in the marketing of Boeing Business Jet throughout Africa (Zambia, Kenya, Zimbabwe, Namibia, Mozambique, South Africa, Tanzania and Botswana). Working with selected aviation industry related organizations such as operating lessors and airlines in connection with the marketing of aviation related equipment and assets, including aircraft and engines. Participating in aircraft and aircraft documentation inspections. Involved in the management of Aloha Airlines’ second largest base in Hawaii (Maui). Managing terminal, ramp and maintenance personnel for Aloha Airlines. Coordinating scheduled and charter flights for passenger and cargo operations for Aloha Airlines. Managing outstations including the co-ordination of passenger, cargo, maintenance and operations personnel for Canada 3000 Airlines Limited. Developing cargo programs for commercial airlines in specified territories in North America and Europe. We are pleased to announce the renewal of the affiliation between Donald H. Bunker and Associates and Sarin & Co..
Sarin & Co. was established in Chandigarh, India in 1932 and is one of the only law firms in India to provide complete aviation law services to airlines, aircraft lessors, aircraft lessees and Governments. The affiliation between Donald H. Bunker and Associates and Sarin & Co. became effective on 20 August 2011 and has enabled clients in India and the Arabian Gulf to benefit from the combined expertise and resources of both firms.